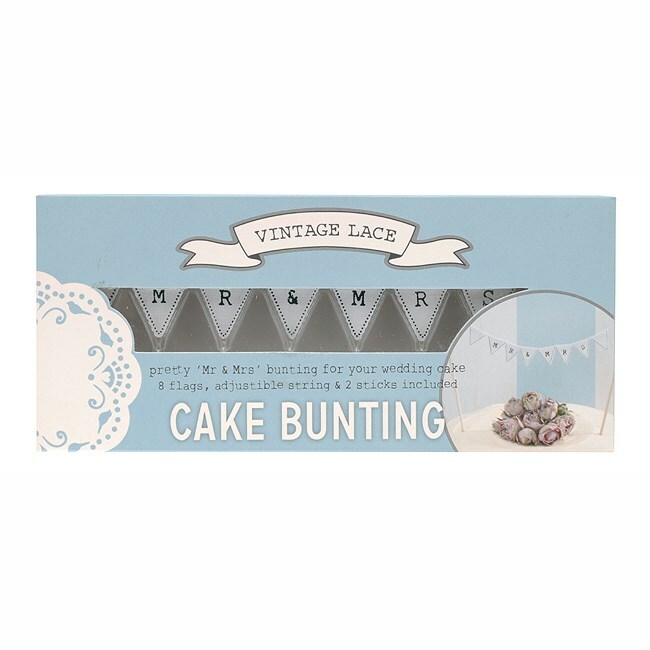 DescriptionOur stylish miniature wedding cake bunting is an unusual and altogether different topper for a wedding cake. Tiny triangle cotton flags printed with Mr and Mrs swing between two small sticks. Adjustable in width with a height of 17cm for each stick. 2 Sticks per pack. 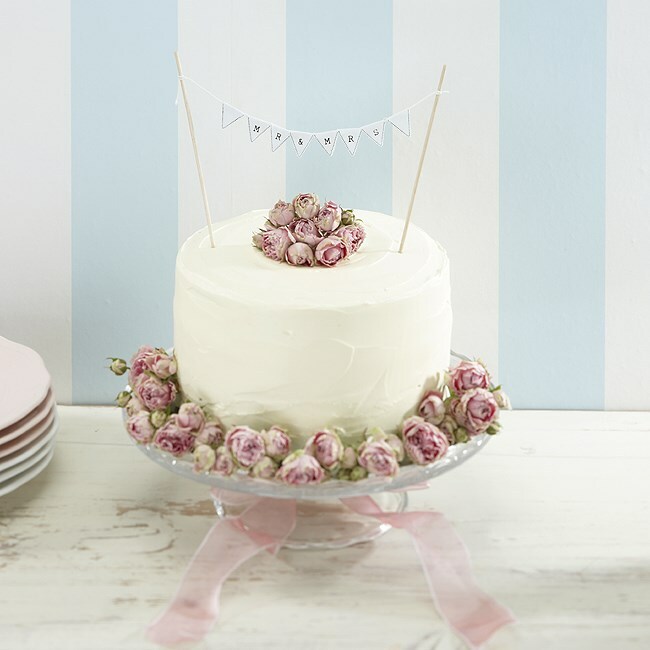 Our stylish miniature wedding cake bunting is an unusual and altogether different topper for a wedding cake. Tiny triangle cotton flags printed with Mr and Mrs swing between two small sticks. Adjustable in width with a height of 17cm for each stick. 2 Sticks per pack.